Durdle Door is a magnificent limestone arch on the Dorset coast. This section of coast is also known as the Jurassic Coast and is famous for its fossils. With such wonderful natural beauty, it is no surprise that is a much-loved attraction. Luckily there are also some lovely places to stay nearby, and we have chosen a few of our favourites for you. The seaside town of Weymouth is a desirable holiday location. 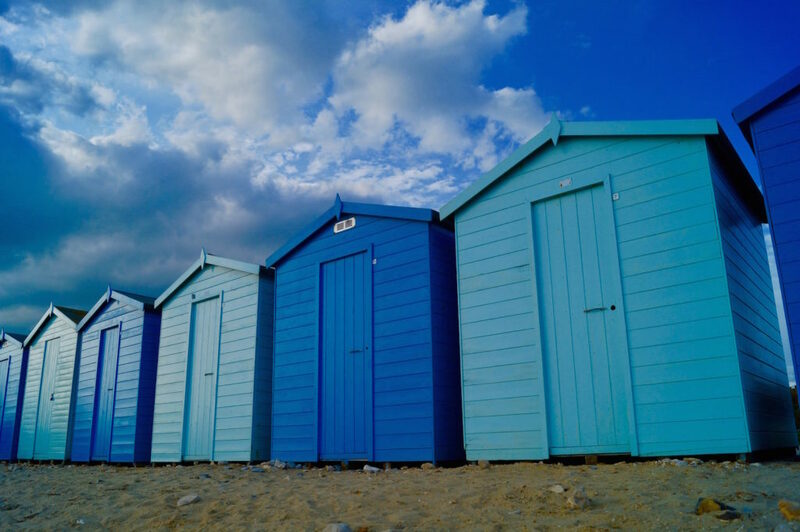 As well as being within driving distance of Durdle Door you will also be able to enjoy a large sandy beach with colourful beach huts. 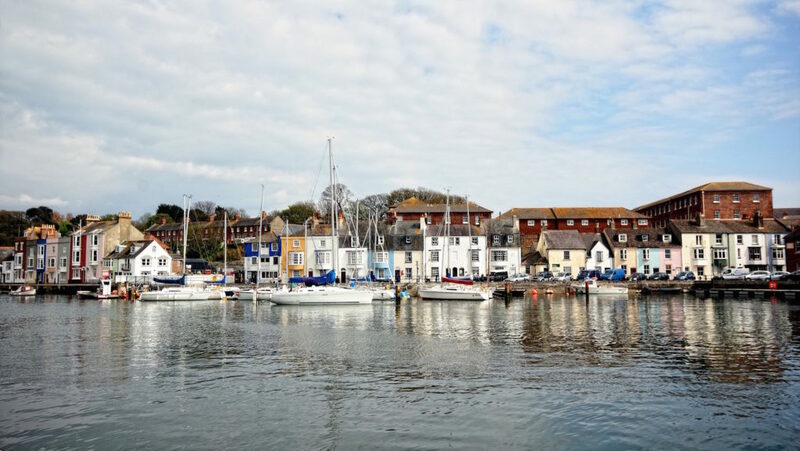 There are plenty of other attractions to visit too, including museums and Weymouth Sealife Park. From wildlife to heritage there is lots to love about a holiday in Swanage. If you want to stay in a peaceful seaside spot while you explore the Dorset coast, this town is a great option. Enjoy trips to the beach and wildlife spotting. Swanage also has a rich history you can explore while you are here. The village of Charmouth is bursting with seaside charm. It has its own sandy beach and is also a great location for fossil hunting. The village itself has a traditional feel, but Lyme Regis is close by for more attractions. 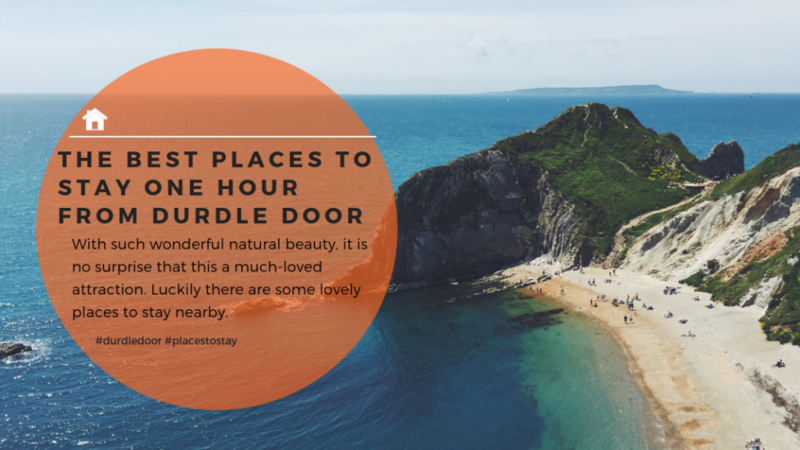 Of course, it’s also an hour away from Durdle Door. Portland is thought to be an island, but it is actually reached via a causeway. It is wild, beautiful, and has plenty to offer. When you’re not visiting Durdle Door you can enjoy fantastic views, visit one of the three lighthouses or try out one of the many water sports on offer here. The charming harbour town of West Bay is a lovely spot for a coastal break, and it has the bonus of being less than an hour by car from Durdle Door. It is a popular spot for relaxing, coastal walking and water sports. Keep an eye out for fossils while you’re at the beach too.